1Trax's numerical compilation series continues with 'Five' mixed by Samu.l. Just like the previous four chapters in the catalogue the creativity behind the mix is an artist whose style doesn't lack in distinction. Samu.l is known for creating deep, emotive tracks with an effortless groove, and more often than not building to that perfect peak time moment. Prominent labels including Saved and One Records have all released his material, with regular support from the likes of Marco Carola and Steve Bug. His live sets are accepted as a solid representation of his own sound, with rolling basslines and a stripped-back style capable of adapting to any time and audience. 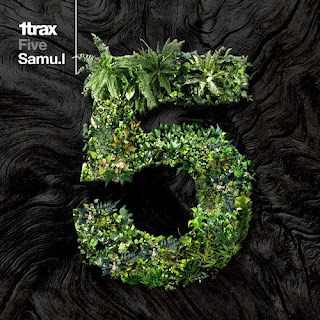 Samu.l's 1Trax 'Five' venture is no different, from the haunting feel of the first track Michael Mayer's 'Baumhaus' (Robag's Paavo And Veita Rehand Mix) to the introduction of Ilario Liburni's remix of Samu.l's 'Don't Worry' through to the swirling finale of Francisco Allendes' 'El Regreso De Los Abuelos' 'Five' twists and turns through a profusion of modern house variations and sub-genres.